Near the mouth, numerous mudflats and low relief spits and mirages on all horizons made ones exact position and desired trajectory somewhat befuddled. After 13 hours of slowly churning down the river, we made a breakthrough discovery when we popped up on a little spit and saw (in a slightly unexpected direction) the indisputable and relievingly close profile of Kotzebue. 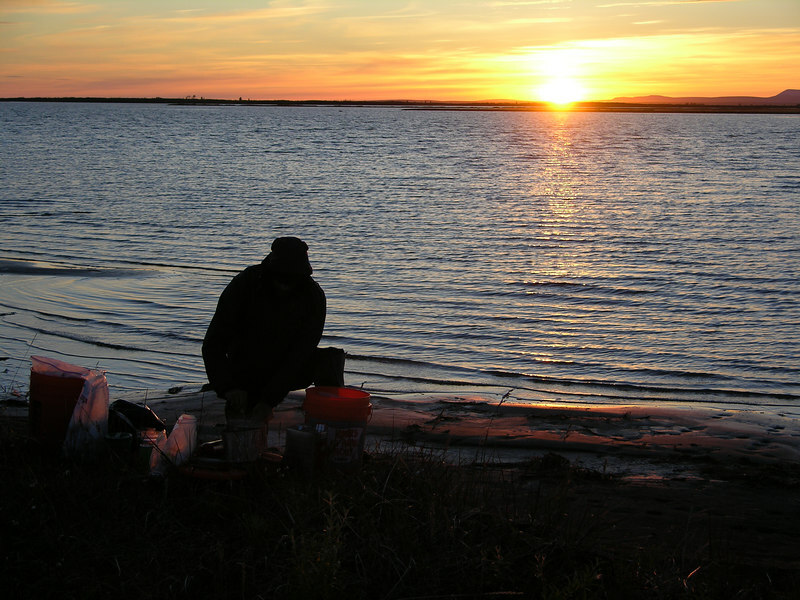 Here Trystan cooks a meal as the sun sets on our longest and last day on the Noatak River.